The decade of the 1970s was a golden era for the big bands of West Africa. State-funding in Guinea, Mali, and Burkina Faso had created a vast network of modern orchestras across the region. In Guinea alone there were more than 60 regional and national orchestras. In Mali, the regional orchestras performed for both state and private functions, and when performing under their private guise the orchestras used their commercial name. 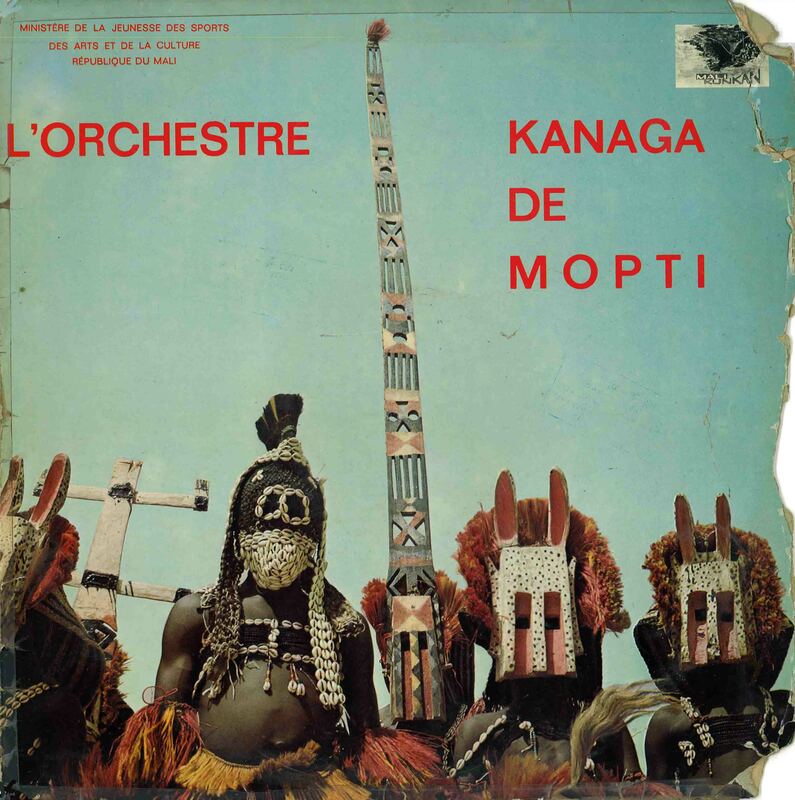 For example, the Regional Orchestra of Mopti also performed in their private guise as Kanaga de Mopti. In 1977 the Malian government released a series of LPs on the Mali Kunkan label highlighting some of the great Malian orchestras of the period. Kanaga de Mopti's release is pictured above. The opening track, Gambari, encapsulates the essence of the Malian orchestra style. The guitar solo, which evokes the best of Sékou "Diamond Fingers" Diabaté, assumes a central role, and explores the melody across several octaves. The solo is well-supported by electric organ, and the brass section is used sparingly to punctuate and reiterate the melody. All the sections of the orchestra combine in the last stanza of the song, thus unifying and reinforcing the theme. Gambari is unquestionably one of the great songs recorded by Mali's orchestras. Side B opens with Kanaga, and a funk-laden organ solo which segues into one of the most compelling brass section riffs one is ever likely to come across. This song really swings. The track is followed by N'do n'do, another classic, featuring a weaving organ and staccato brass section. The backing vocalists propel the number with their call-and-response Fela-like chorus, and are led by the vocals of Sory Bamba, who is in career-best form throughout the LP. L'Orchestre Kanaga de Mopti continues to perform today.